Why Are Celebrities Designing Their Own Socks? Have you ever seen Rihanna on the red carpet wearing something only she could make look good and thought to yourself, “I wish I had that image on a pair of socks?” She certainly did—her Iconic Looks Collection features a set of socks with her most unforgettable fashion moments. Rapper Snoop Dogg, perhaps one of the first celebrities to embrace designing his own sock line, has collaborated with multiple clothing brands to bring his designs to the masses. With countless other celebrities also jumping on the opportunity to design their own socks, one has to wonder what the draw is. For starters, it’s an easy way to sell a product with a built-in fan base. After all, celebrity endorsements have been around almost as long as advertising, and apparel has long been profitable when it bears the name of a famous athlete or actor. Celebrities also benefit from the increased exposure. Engaging with fans is a must for celebrities and branding products like apparel is another avenue to make that connection. Simply put, it’s a great way to build their brands and stay relevant amongst their fans. For some celebrities, designing apparel like socks offers another creative outlet. Actors, musicians, and other artists are creative by nature. Often, focusing strictly on their vocation doesn’t offer them enough of a creative outlet. 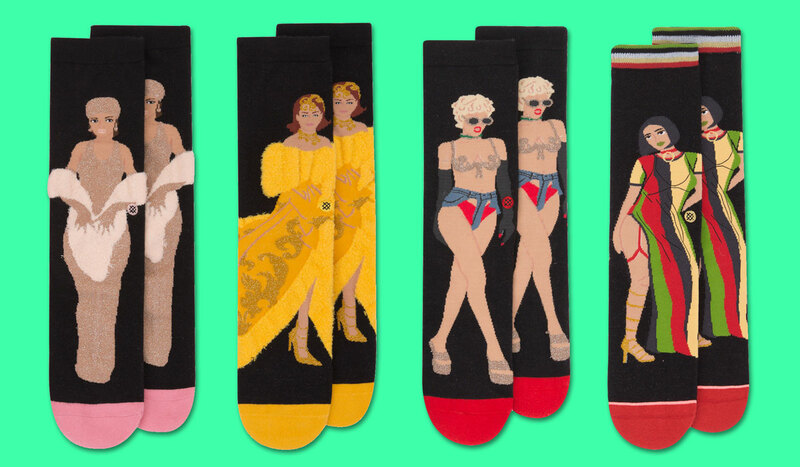 Celebrities who design their own line of custom socks have a way to express creativity in a personal way. At the end of the day, celebrities understand trends they can capitalize on. The sock craze is in full swing and shows little sign of slowing down. Today’s individualists want a pair of socks that attracts attention. Celebrities often look to affix their famous names to trends. As socks become more popular and as early adopters like Rhianna find success, look for other celebrities to launch their own sock lines.